USA- According to Carscoops.com, Jeep is recalling around 4,822 vehicles over concerns regarding defective floor mats. In the impacted vehicles, the accelerator pedal can become trapped under the floor mat. The issue can cause a heightened risk of car accidents. The recall comes after Fiat Chrysler Automobiles, Jeep’s parent company, received a complaint from a customer. The company chose to issue the recall. The vehicles are 2018 Grand Cherokee SRTs and Grand Cherokee Trackhawks. About one out of three of the recalled vehicles are still in the possession of dealerships. So far, the company has not heard of the issue leading to any crashes or injuries. The vehicles have a safety feature that helps reduce the risk of the issue leading to a crash. The vehicles have a “brake-throttle override.” This feature cancels the input from an accelerator-pedal if the brake is applied at the same time. Notification of the recall will be sent to owners of the affected vehicles and the floor mats on the driver’s side will be replaced at no cost to the owner. Until owners can get to the dealer to have their floor mats changed, the mats should be removed from the vehicles. 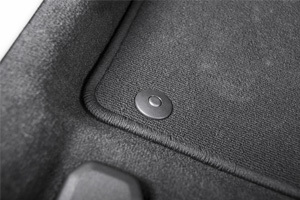 The manufacturer has also recalled floor mats that were sold as accessories because they pose the same potential problem of trapping the accelerator. Vehicle recalls are made when a defect is found either through tests or by customers. Reports of an issue with a vehicle to help the manufacturer and the National Highway Traffic Safety Administration (NHTSA) decide whether a recall is warranted. When recalls are issued, consumers are provided with a remedy at the cost of the manufacturer.